Visit us at the Industrial Exhibition area and talk to us about about our latest products, such as radiation hardened integrated circuits (ICs) and detector modules for use in space. IDEAS is represented by Systems Engineer David Steenari and Scientist Timo Stein. For inquires please contact David Steenari. IDEAS delivers radiation detection and imaging subsystems with proprietary readout technology for harsh environments. 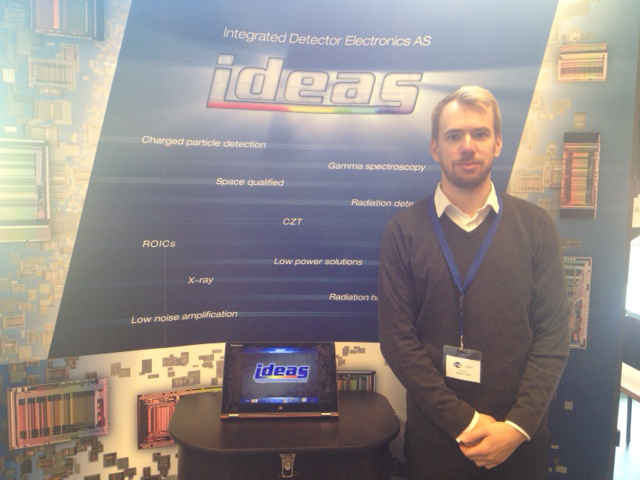 IDEAS specializes in readout of detectors, such as CZT, CdTe and Silicon for radiation imaging and spectroscopy. Products from IDEAS have been used by among others ESA, JAXA and NASA in space for over 20 years..